One thing the whole Internet can agree with is that cats are cute and (sometimes) cuddly. But what those endless cat videos you find yourself watching for hours on YouTube don't tell you is that cats stink. While cats aren't the source of the smell, owning a cat means a stinky litter box. There are many ways to deal with a stinky cat litter box. You could simply ignore it by using essential oils around your home to make the smell less obvious, or you can scoop up the feces and urine more frequently than you already do and add baking soda to the litter. If you want to get crazy about it, you could even build a self-ventilating litter box and keep those smells our of your home for good! 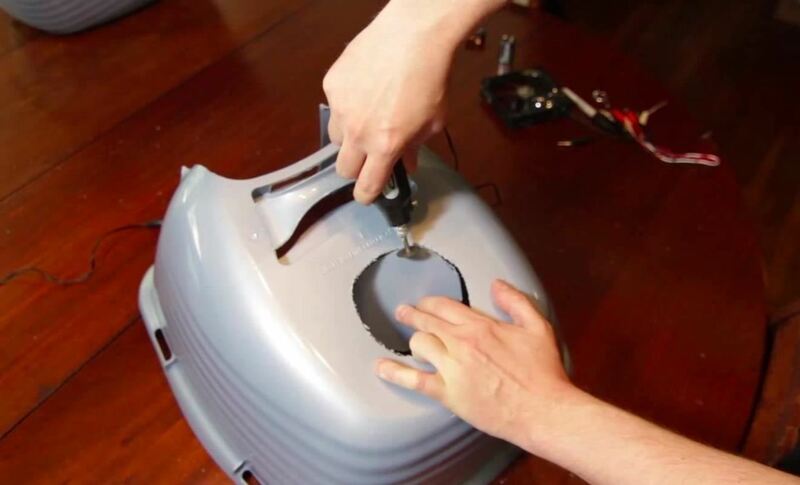 YouTube's favorite life hacker, Household Hacker, gives the instructions below on building your own self-ventilating kitty bathroom. If you try it out, let us know how it went! 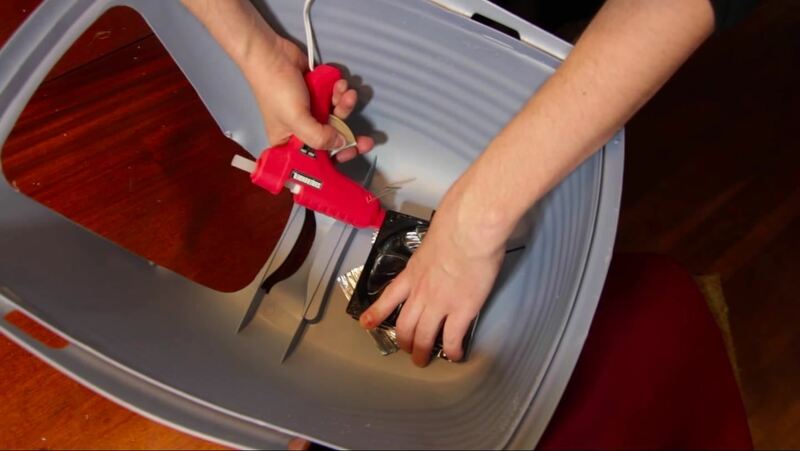 Trace out the circumference of the dryer vent with a marker, then cut out the circle with the rotary tool. 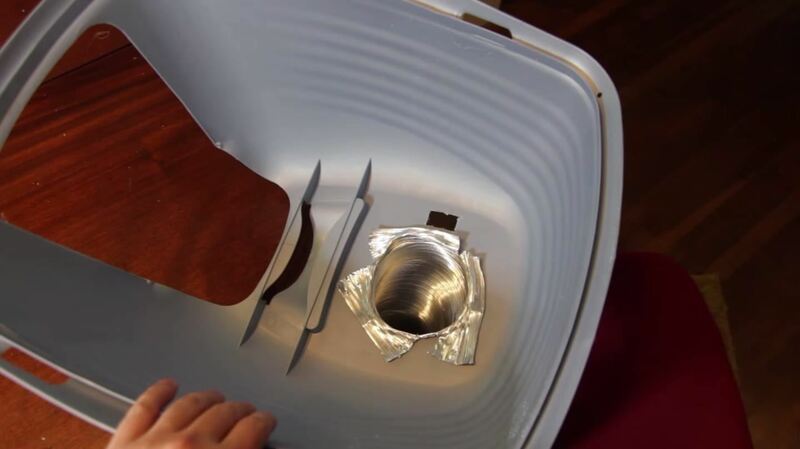 Trace the toggle switch to the litter box right next to the vent circle and cut that out with the rotary tool. Insert the dryer vent. 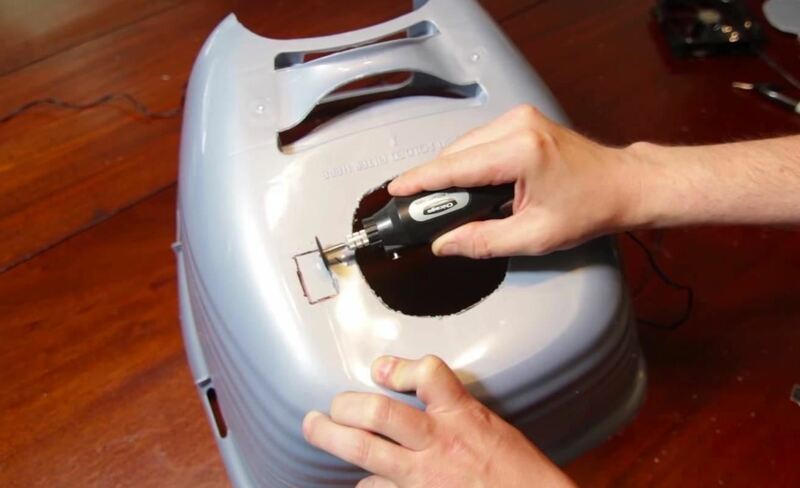 Bend the vent inside the litter box so that it stays in place. 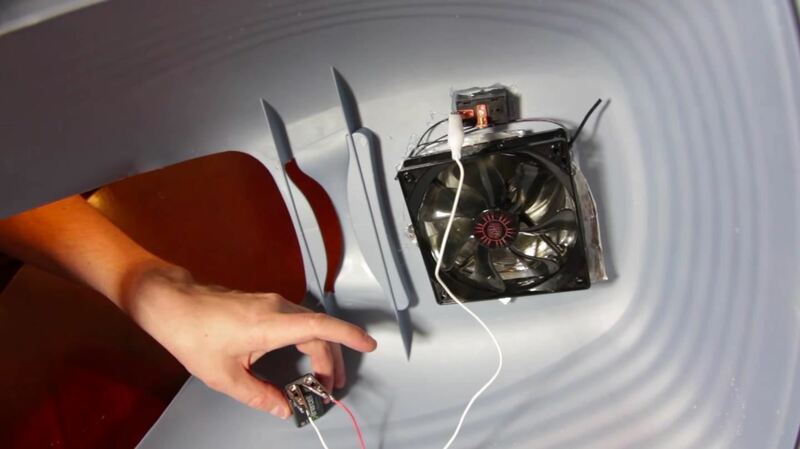 Hot glue the PC fan to the inside of the litter box on the vent circle. Insert the toggle switch into its hole and connect the positive and negative ends to a wire attached to a 9 volt battery. Tape the battery into place. 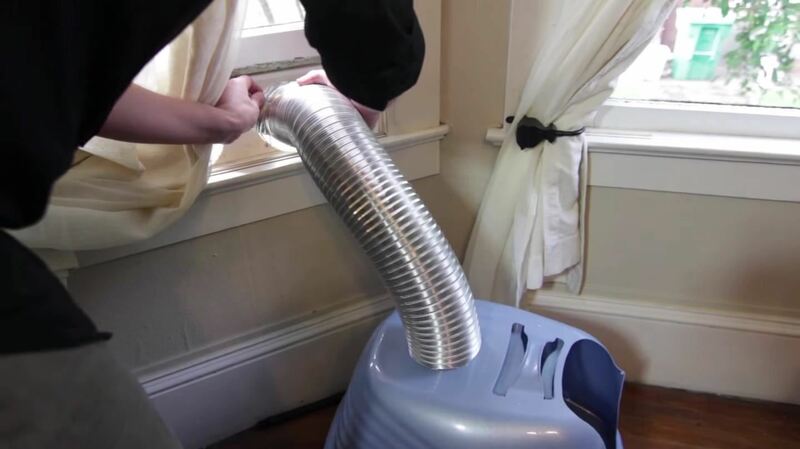 Take the litter box to the nearest window, open the window and place the vent outside of the window. Whenever it gets smelly, turn the switch on and take pride in your invention! If at some point you decide to become a crazy cat person, you probably won't have to worry about having to eliminate the smell. If you plan on keeping your friends and family around, however, this ventilating system will definitely come in handy! 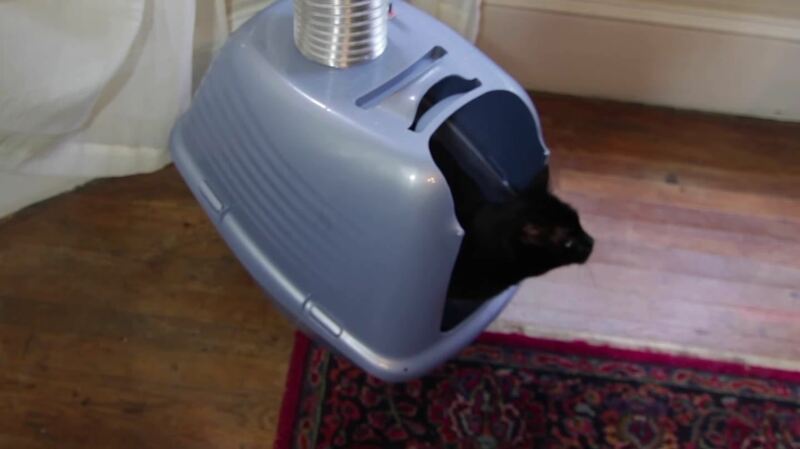 If you just clean the litter box regularly (morning and evening at least), you don't need a ventilation system.